One for Seven Billion is a global campaign supported by organisations and individuals from all corners of the globe committed to getting the best UN Secretary General. The UN Secretary General plays a crucial role in tackling global challenges and improving the lives of the seven billion people that live on this planet. And yet the selection of the person who will fill this hugely important role is not carried out in an open and democratic way. Instead the Secretary General is traditionally chosen in secret, by just five countries that hold permanent seats on the Security Council, in an opaque and outdated process. Towards the end of Ban Ki Moon’s term as UN Secretary General the 1 for 7 Billion campaign was established with the aim of increasing the transparency of the election process and making it more democratic. The campaign calls for an open, transparent and merit-based selection process that sets out formal selection criteria and qualifications, meets modern practices and exemplifies the UN’s ideals. The selection process should meet the higher standards of transparency and accountability that UN Member States and civil society have been demanding for years and that provides meaningful involvement from all Member States, appropriate input from civil society, and matches that of other high-level international appointments. The campaign calls for ten specific reforms. While the campaign’s calls have yet to be fully met, there have already been some spectacular successes. In the 2016 election process, for the first time in the UN’s seven decades, the candidates’ details were published prior to the election, and the candidates – many of whom are women – are currently going through a hearing process with the General Assembly and global civil society. As the selection process finally becomes more public and transparent, there are grounds for hope that in the future it can become even more fully democratic and allow the selection of a candidate who is truly accountable to a wider global public. As the process goes on, it is vital that as many people as possible get informed and involved in this important selection, that sets an example for the further democratization of international institutions. 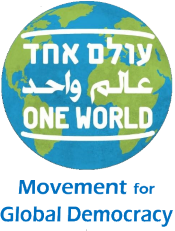 One World has endorsed the campaign, along with 750 other organizations, spearheaded by the World Federalist Movement, Avaaz, CIVICUS: World Alliance for Citizen Participation, Friedrich-Ebert-Stiftung NY, and the United Nations Association UK.